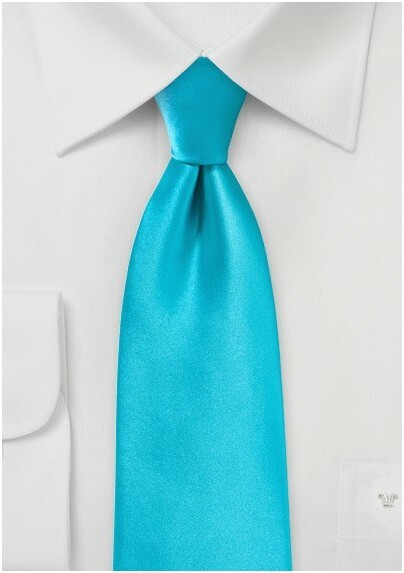 Perfect for a wide range of warm-weather suits is this aqua hued necktie by Puccini. While perfect for tan, light gray, and navy summer suits, we liked it most in combination with a cream cotton suit, white shirt, as well as the matching aqua hued pocket square. 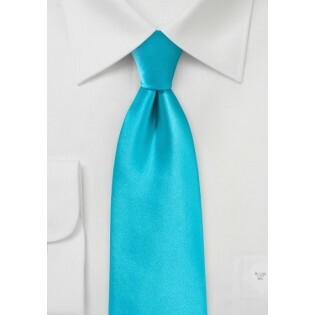 Note: the tie shown is made in extra long length for taller men.